Let me mention an important statistic about Buick today: 40 percent of all its current customers happen to be conquest buyers. 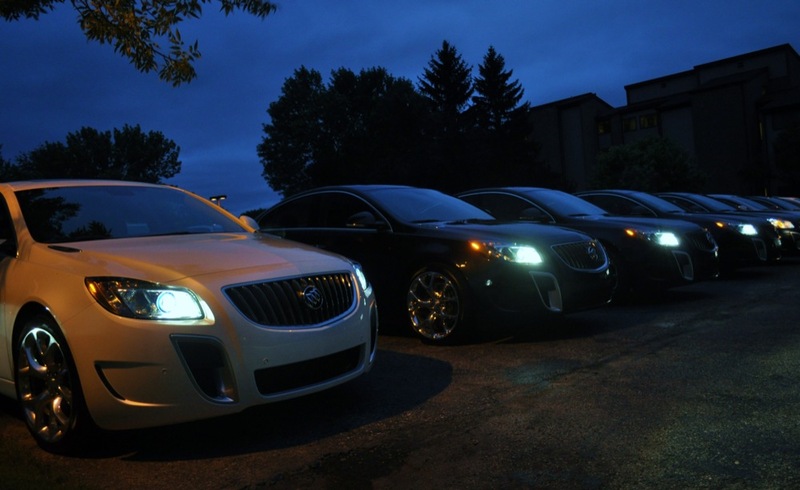 That means that nearly half of Buick buyers are completely new to the brand. 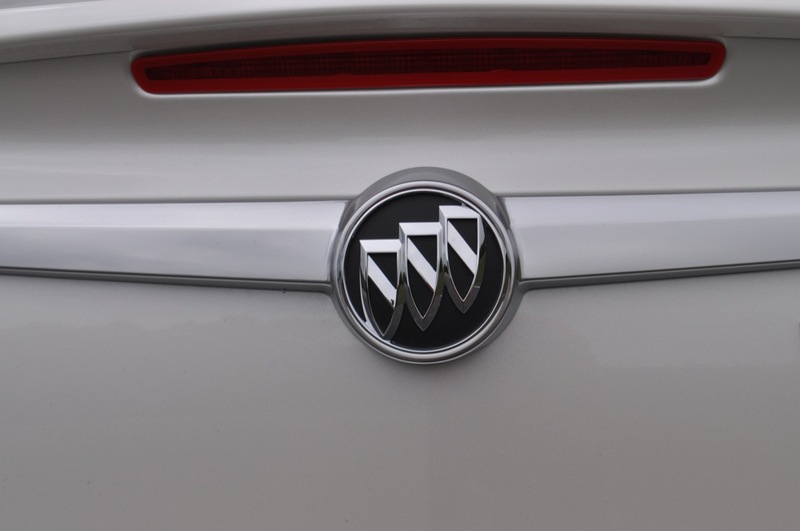 That might have something to do with the marquee having its most competitive product portfolio in years, despite it currently spanning only three models, with the fourth coming later this year as the Verano. 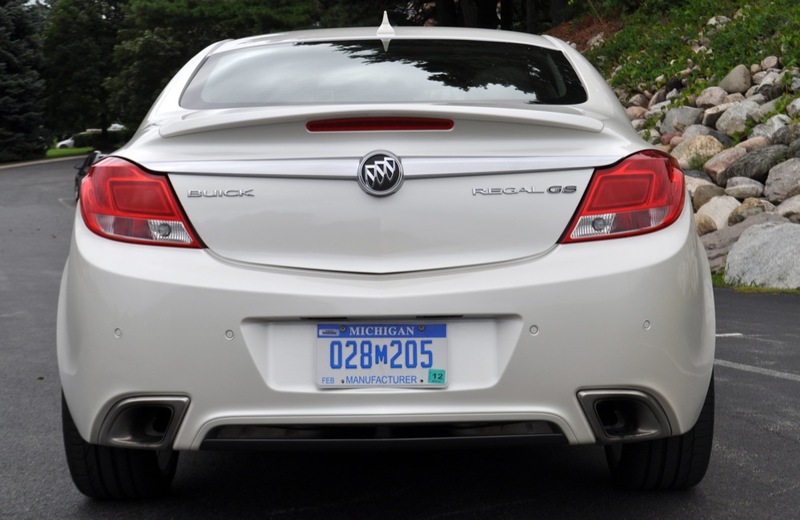 With just these models, Buick accumulated 16,873 sales in July 2011 and outsold Lexus — which has more than double the amount of vehicles in its current portfolio compared to that Buick. That’s saying something. And just days ago, I had the privilege to get some seat time in the latest offering from the Trishield, the Regal GS. 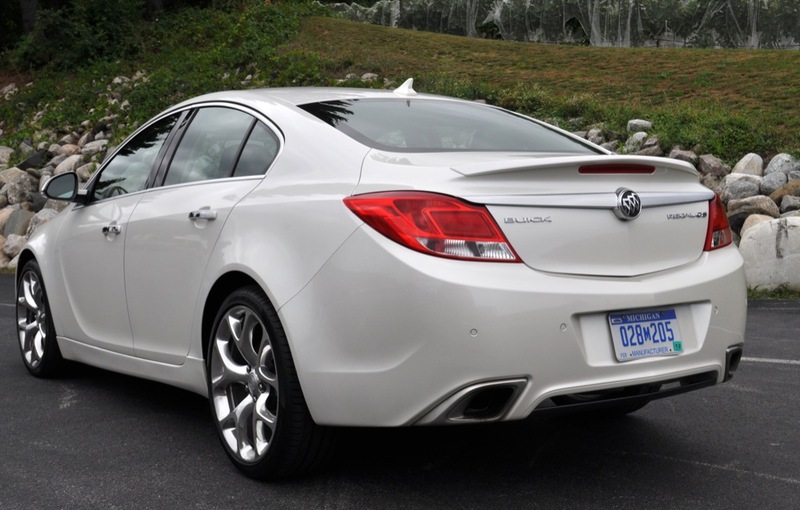 The 2012 Buick Regal GS will launch in a matter of weeks, and will command a starting price of $35,310. Fully loaded, the GS won’t break $40,000, mostly because there are just a few available options. These include a sunroof, a touch screen navigation system, 20 inch polished alloy wheels (an upgrade from the shiny 19 inch alloys), Pirelli PZero summer rubber, and finally, a few premium paint choices such as Crystal Red Metallic. 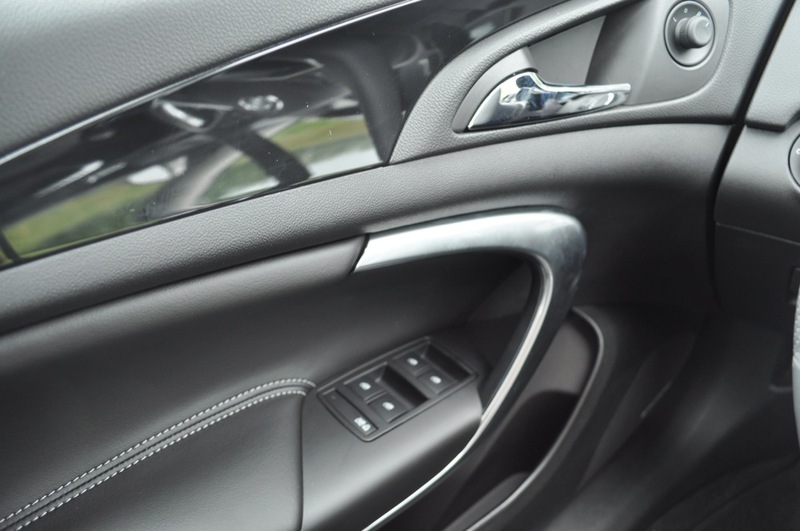 Leather is the only interior appointment for the GS, accompanied by a thicker steering wheel, more bolstered seats, metal pedals and GS badging throughout. 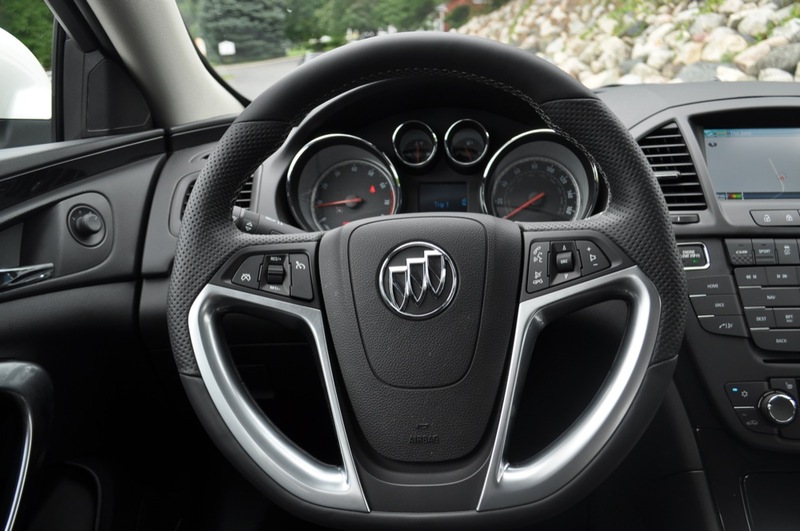 Otherwise, it looks like a normal Regal Turbo from the inside. 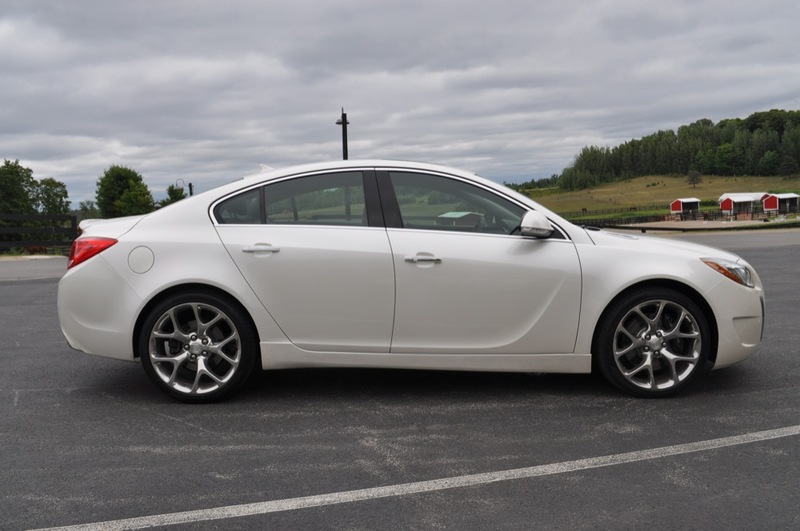 From the outside, the Regal GS closely resembles the Opel Insignia OPC, the car from which the GS was derived. 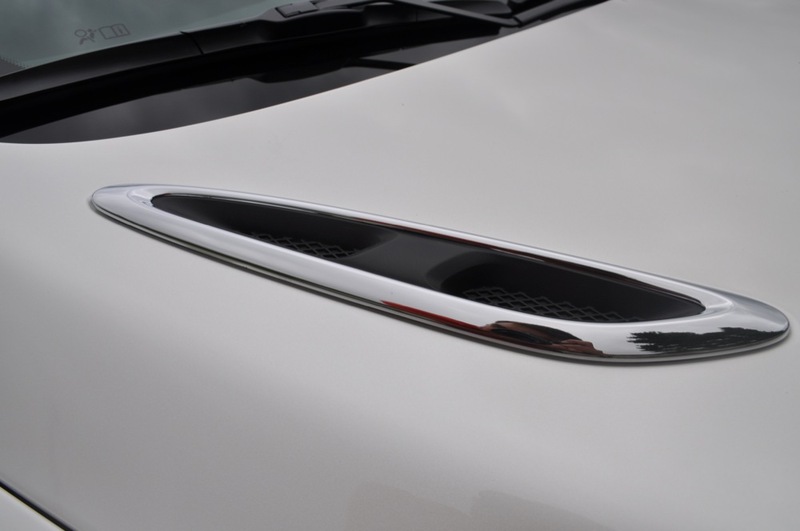 The front fascia is nearly identical, with the waterfall grille in place of the Opel’s more gaping maw. The two big differences between the GS and the lower-slotted Turbo model are the GS’ fang-like vertical inlets up front, as well as alluring polished alloy wheels. Did I mention they’re available as 20s? Good luck finding 20-inch wheels on an Acura or an Audi. 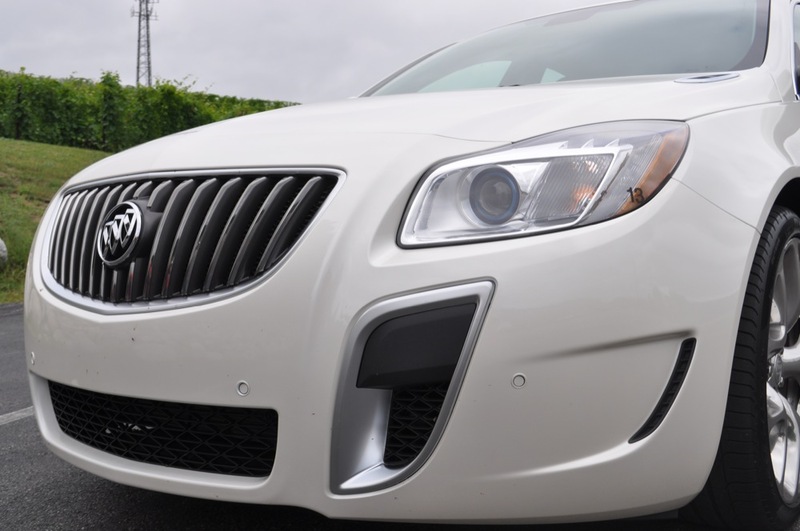 Measuring it out, the Epsilon II-based Regal GS features identical proportions to the rest of the Regal line, with a 107.8-inch wheelbase, a total length of 190.2 inches, 58.4 inches in height, and 73.1 inches in width. At 3,710 pounds, it’s just a few pounds heavier than the 3,699-pound FWD Acura TL and not too far off from the 3,626-pound Audi A4 equipped with the manual transmission. Both the TL and A4 post similar price points to the GS as well. 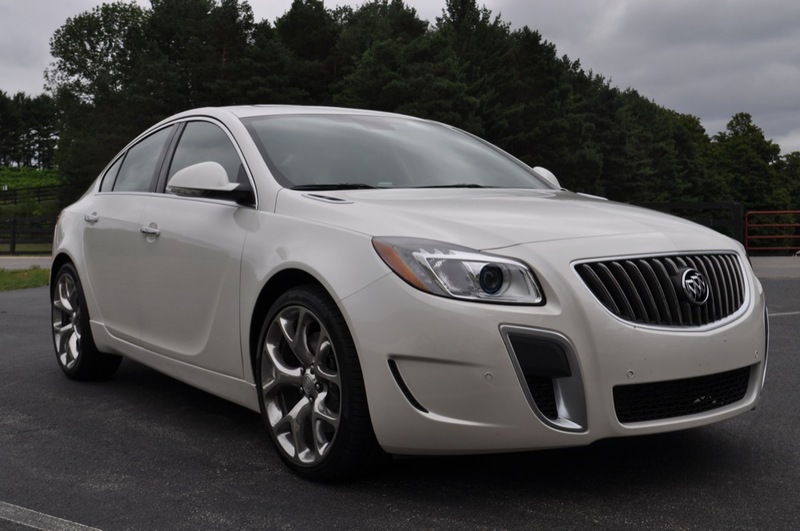 The most evolved form of GM’s 2.0-liter Ecotec engine propels the Regal GS, with four valves per cylinder, twin overhead cams, and 20 PSI of forced air from its quick-spooling twin-scroll Borg Warner turbocharger. The GS offers peak torque at 2,400 RPM and gets an EPA rated 19 miles-per-gallon in the city and 27 miles-per-gallon on the highway. 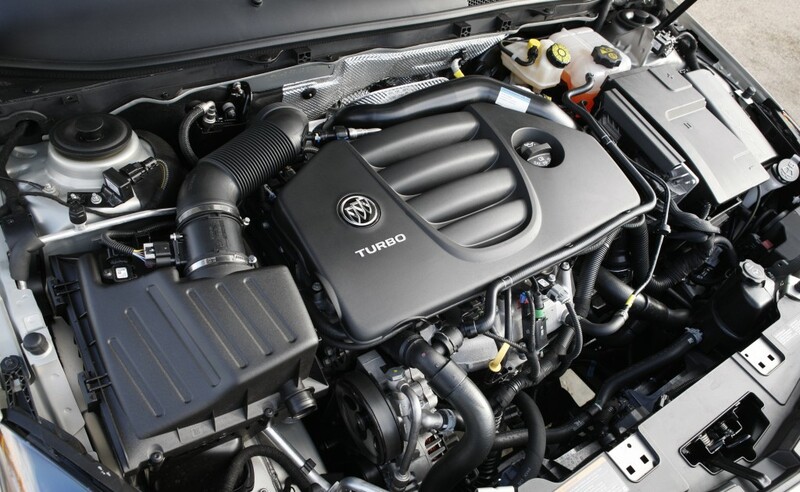 Altogether, it’s the most power-dense motor that’s ever been tested by the Society of Automotive Engineers, putting out 270 horsepower and a meaty 295 pounds-feet of torque (up from the 220 horsepower, 258 pounds-feet seen in the Regal Turbo). All of the power is sent to the front wheels and the front wheels alone through a standard six-speed manual transmission. That amount of grunt will propel the GS from zero to sixty in 6.7 seconds and through the quarter-mile in 15.2 seconds (according to Motor Trend’s initial test data), which is just a few ticks behind the A4 in 0-60 speed because of its heft (or lack of AWD) but equal to the 3.5-liter V6-powered Acura TL. 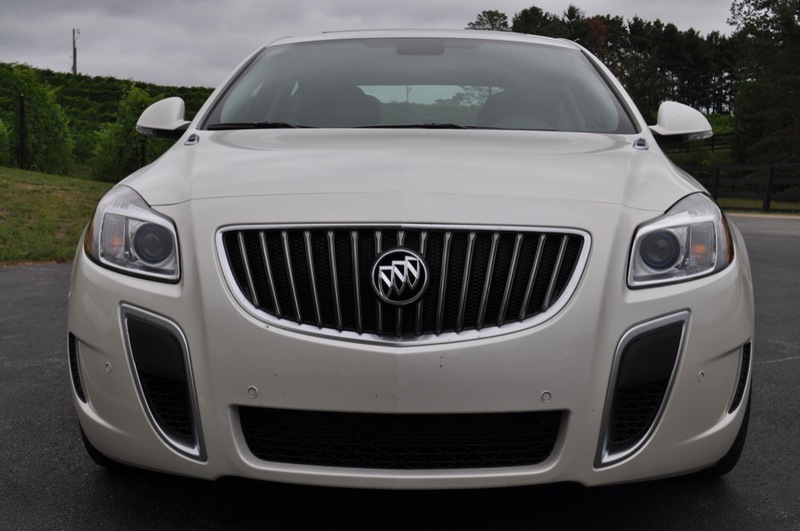 Still, the 295 pounds-feet is the number that makes the Regal GS feel more propulsive than the paperwork suggests. 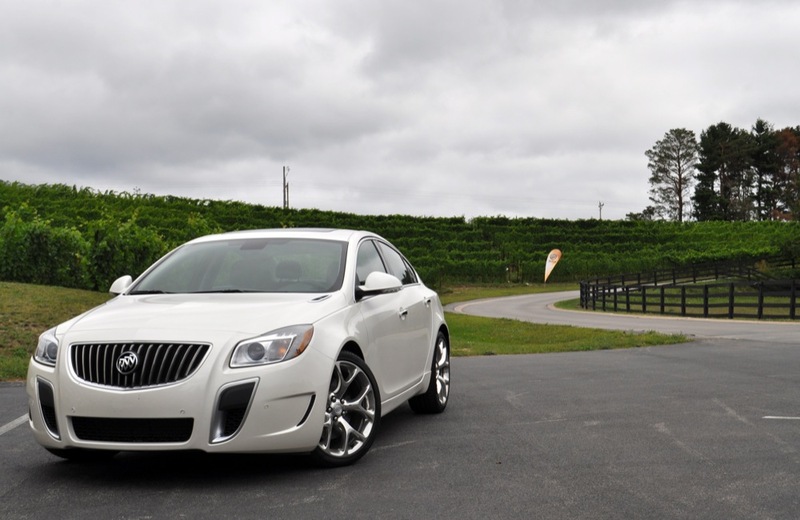 Despite its shortcomings in the straights, the Regal GS becomes radiant as soon as the road curves. Thankfully, the GS’ arsenal also features a set of robust 355-millimeter vented disc brakes and four-piston Brembo brake calipers up front. 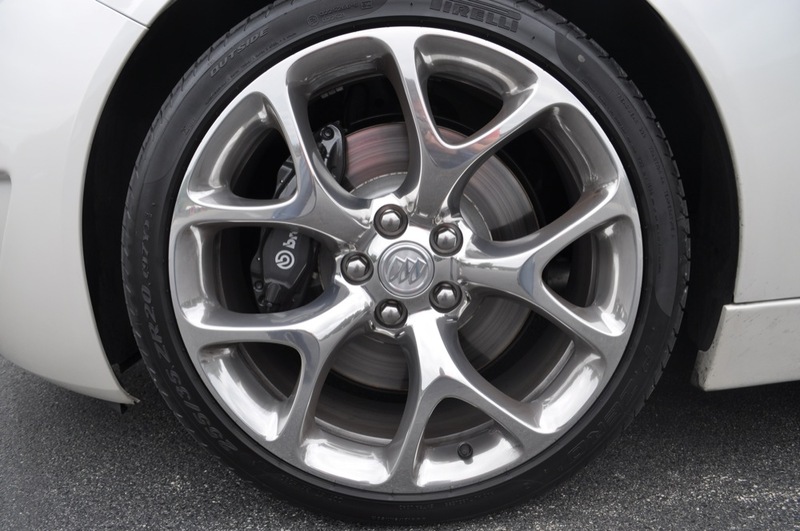 A pair of 315-millimeter vented disc brakes and single-piston aluminum calipers accompany the rear wheels. Simply put, the Brembos will bite down and stop the Regal GS with great enthusiasm. Now, being that all of the power is sent to the front wheels, GM’s engineers wanted to make sure torque steer wouldn’t be an issue. They succeeded. 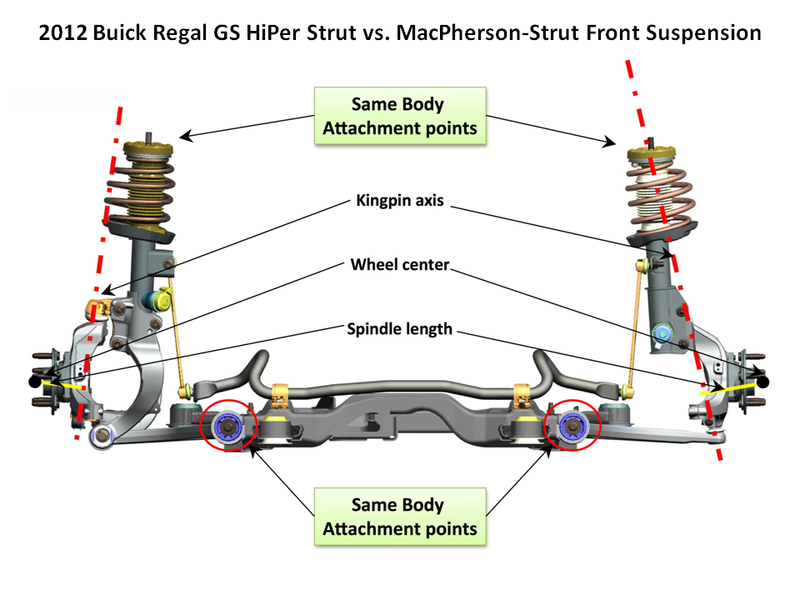 By swapping the Regal Turbo’s MacPherson Strut setup for the superior HiPer Strut suspension system up front, torque steer is kept to a bare minimum. This is due to the HiPer Strut’s unique layout that features a shortened spindle length compared to the MacPherson, which regulates torque steer much more effectively. On an all-too-early morning in Traverse City, Michigan, I found myself paired with the chipper Jo Ann Holt — a veteran auto writer out of Dallas — with a raven hued Regal GS. We were supposed to follow a calculated route that took us through the sloping hills and winding roads of the region, while making a few scenic pit stops along the way. We made our own route, by accident. We were so caught up in conversing, that we ended up getting lost for a bit. But it turned out to be a benefit, as we had the chance to fiddle with the vehicle’s satellite navigation system to find our way back to our route where we otherwise probably wouldn’t have toyed with any of it. Everything is the same as the other fully-loaded Regal models (you can read my thoughts on its functionality here). 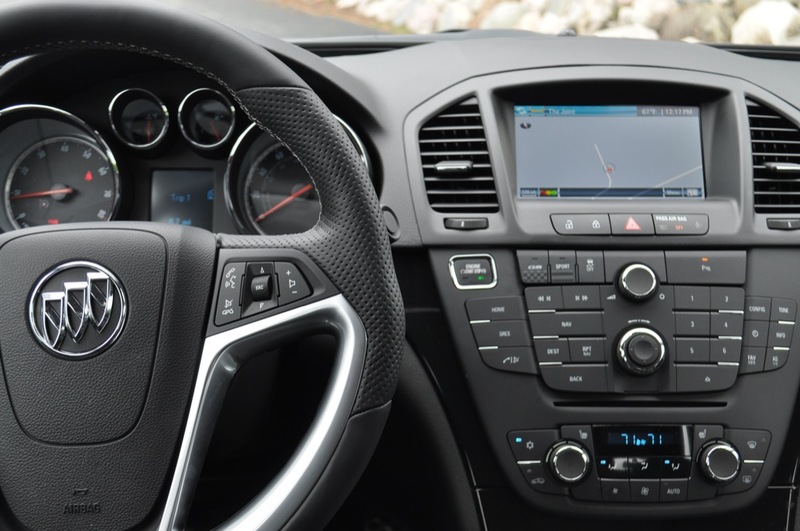 However, the upcoming IntelliLink infotainment system (also called MyLink) will replace the current setup as a rolling update a few months after the vehicle’s launch. 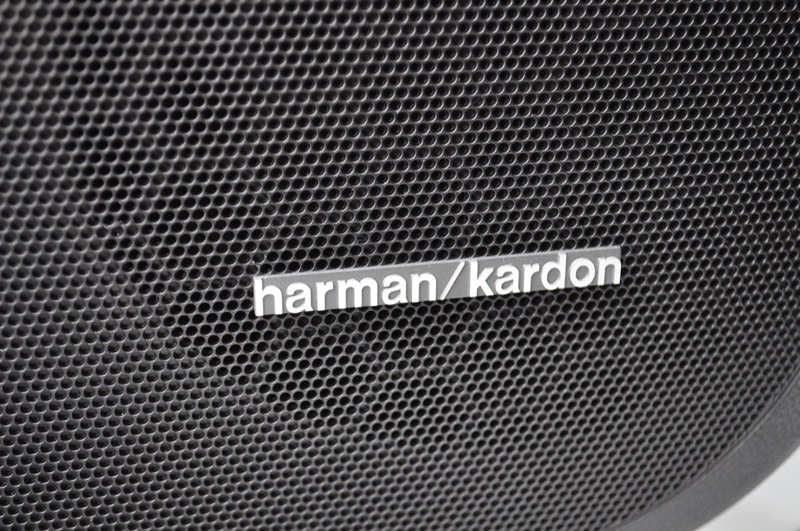 Thankfully, the 9-speaker 336-watt Harman/Kardon audio system isn’t going anywhere. 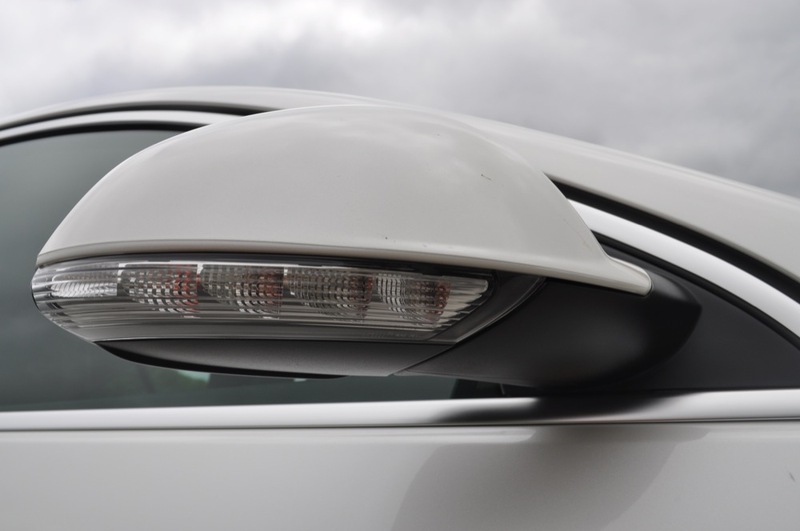 But hopefully a rear-view backup camera is on the way, as such a feature is becoming more of a necessity. The layout of the center stack might be a little too busy for some, but I like buttons because I’m complicated. Or so some people tell me. And while the rest of the interior was clean and sporty, I felt it was slightly too monochromatic. Some more white stitching or perhaps a little more extra brushed aluminum inserts would have made a world of difference here. 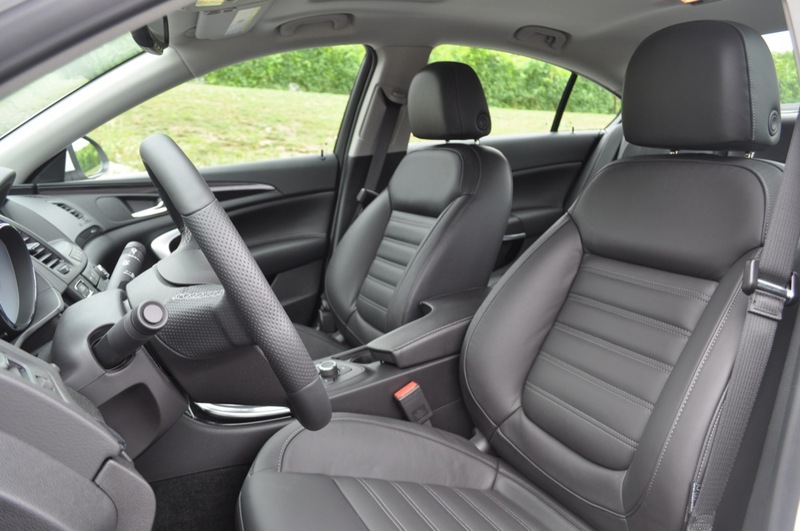 Additionally, the seats are slightly more plush and bolstered this time around, and are appropriate for the intense cornering you can do with this machine if you’re up for it. 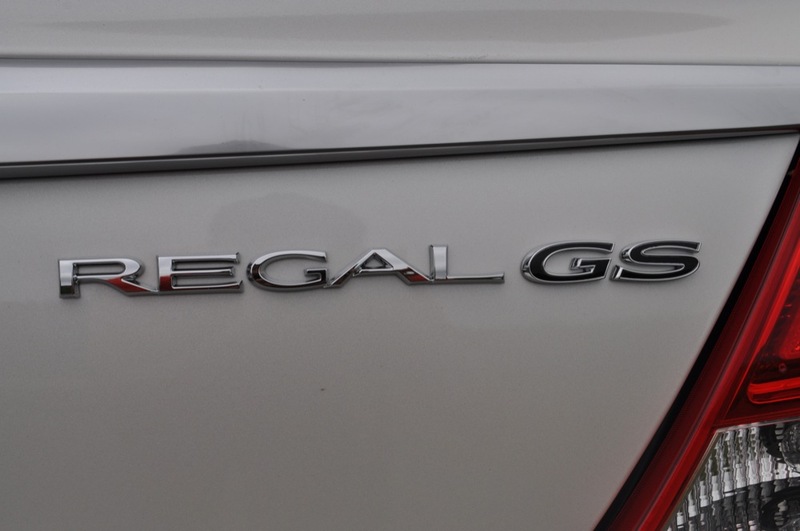 There are three distinct driving modes in the Regal GS. 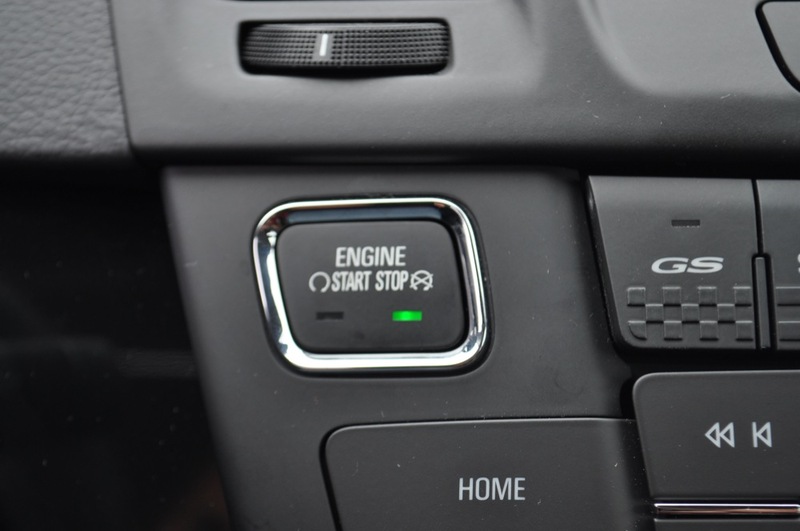 And depending on whether you’re driving your grandmother to the store, or are late for work, the Regal GS has a driving mode for you. 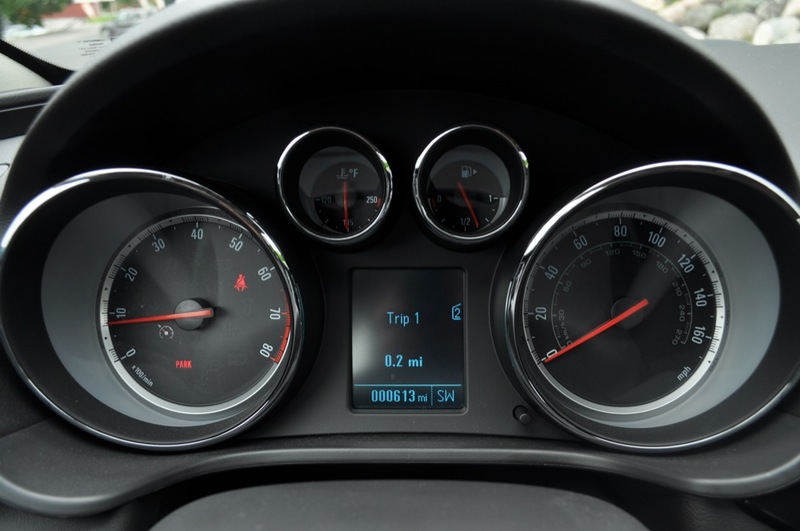 The default, called Normal mode, gives only subtle hints of the car’s true athleticism, with the steering feeling fairly marginal, a more relaxed delivery of acceleration, loosened suspension and noticeable body roll. 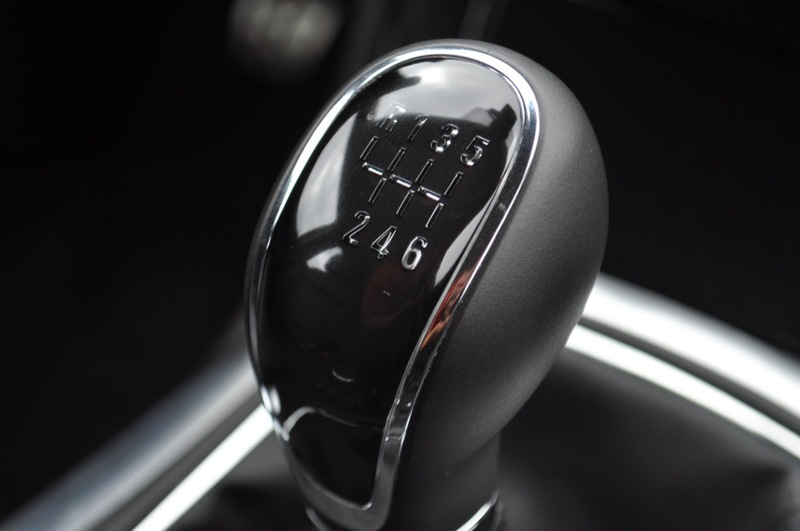 Sport Mode — as name suggests — focuses everything a bit, tightening the steering and suspension while making the power more immediate. The final GS mode is a lovely little configuration that separates this model from the lesser Regal Turbo. Pressing the GS button on the center stack turns all of the cabin’s lighting from ice-blue to white, and metaphorically takes the gloves off with a precise steering feel, minimal body roll and immediate throttle response. 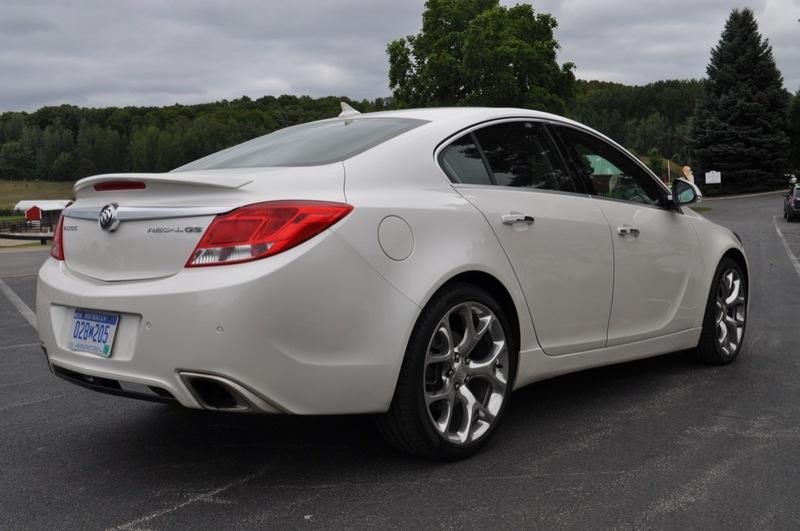 The end result makes the 3,700-plus-pound sedan move through bends in the road as if it were something much lighter. 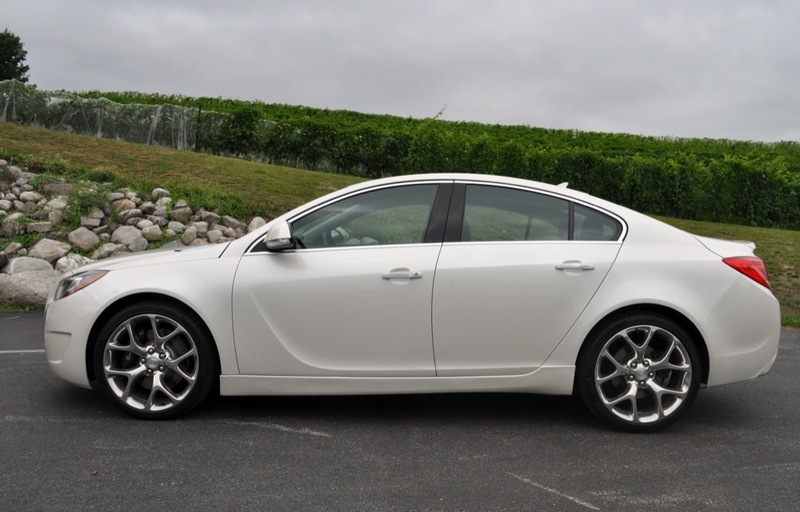 After a few turns, it became very clear why Buick’s team wanted us on winding roads, rather than ongoing straight ones. You’re probably wondering how in tarnation the F40-6 six-speed manual transmission fared in the Buick. Right from the beginning, I was amazed on how smooth the transmission was. It was damn near effortless, even forgiving. 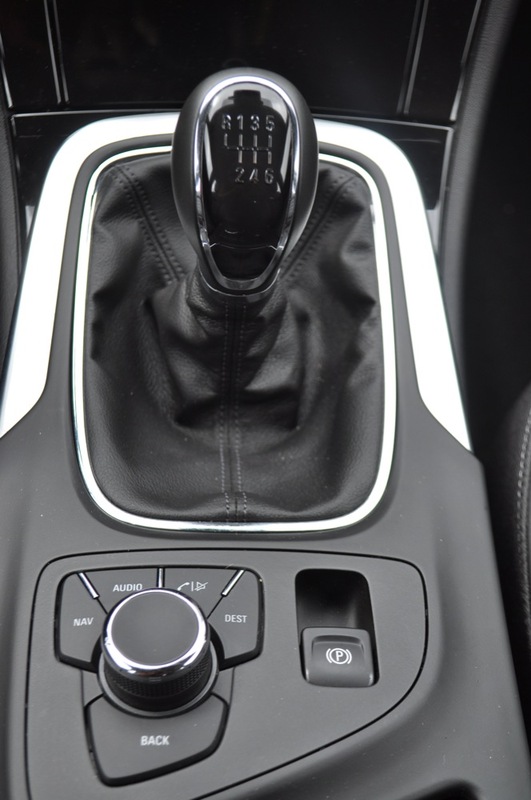 Therefore, I have to say that the Regal GS makes for a perfect car with which to introduce somebody to the wonderful world of the clutch pedal. 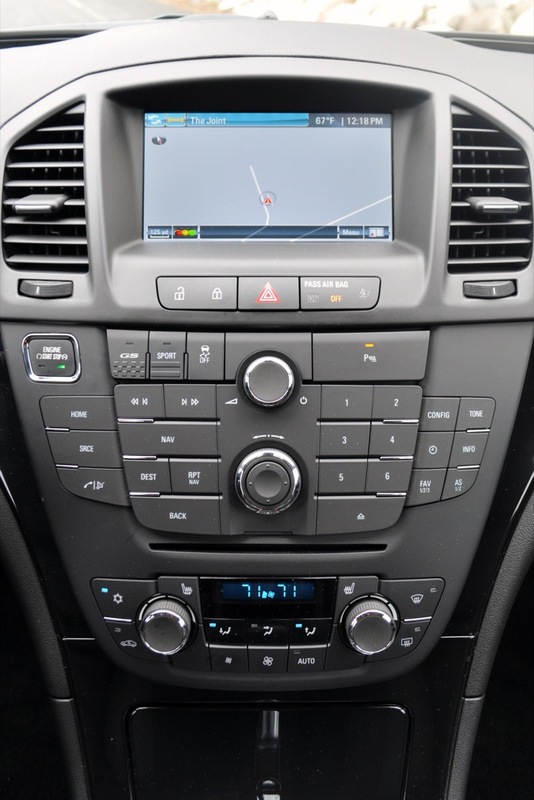 And if you’re worried about hills, GM’s hill-hold technology feature should help with that. 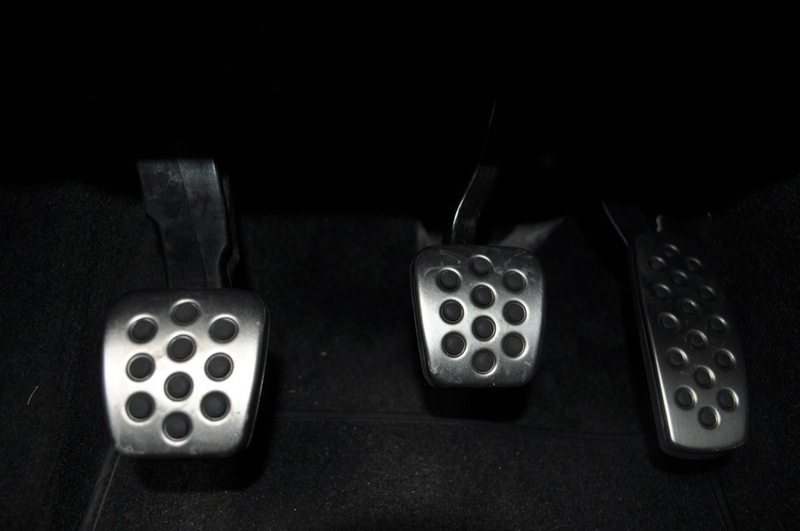 If you just can’t come to terms with a clutch pedal, an automatic version will be available six months following the vehicle’s launch. GM engineers have succeeded in developing a car that can be a thrill to drive, but is far from being scary. Its front-wheel-drive layout is familiar for many, and therefore puts the Regal GS in a unique spot of being a tastefully-styled, approachable and easy-to-drive car despite having a third pedal and white-knuckle handling characteristics. 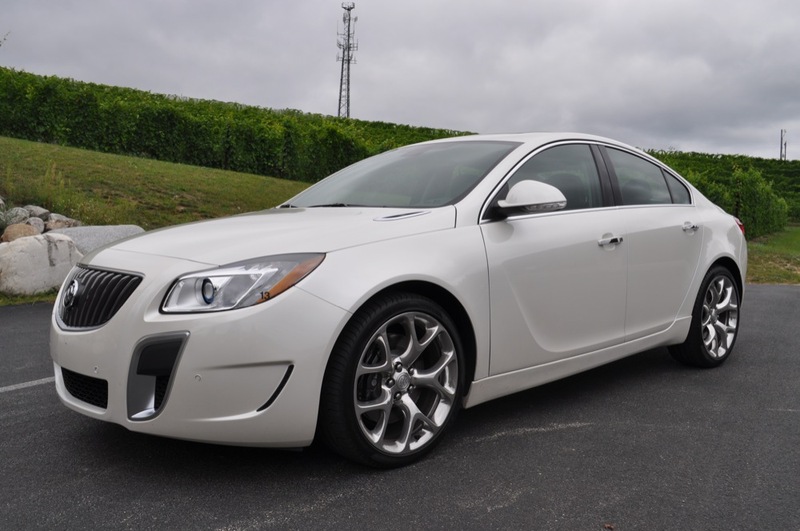 A great choice for those looking to test the waters of the sport-luxury segment. And I honestly can’t wait to spend more time with one. I didn’t get ice cream at moo moo’s this time. But I did break the bank at American Spoon! Im sorry i couldn’t help but notice u mention that the automatic will be available six months after the launch who’s idea was that?Any salesman at a dealer will tell you the average consumer wants and orders the automatic I like the move for having the stick available in the gs but how many does regal gs (manuals) does gm think they will sell and the intellilink will be available later okkkkkkkkk. Overall great article i can’t wait to drive the gs I hope to get “lost” in one also lol. So will IntelliLink be a software update or just found in the later release of the GS? It will be a rolling update, and will replace the current application as soon as it’s ready. 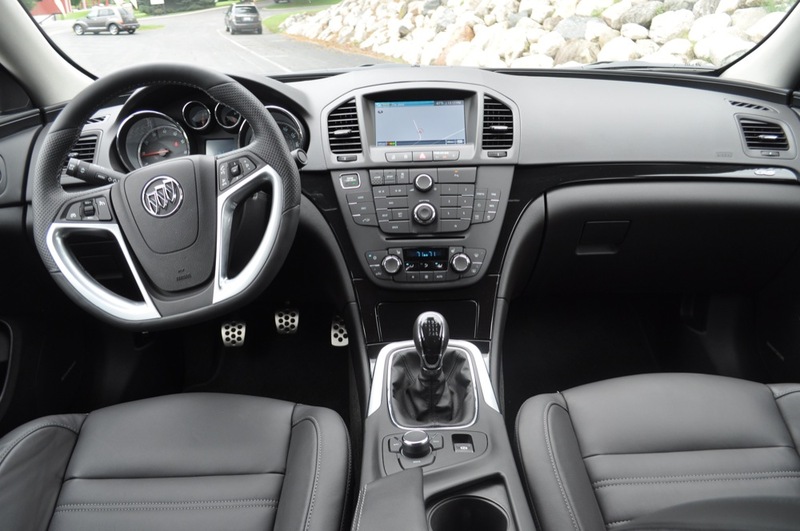 Intellilink will debut with the Verano when it launches later this fall, and it will subsequently make its way to the other Buick models almost immediately. Hope that helps. Thanks Manoli. Forgive my ignorance but for an example does this mean that if I buy the GS without the Intellilink will it be able to upgrade via a software update or am I out of luck unless I hold off until they start shipping with it? I will have to double check to make sure but I want to say that it’s a totally new system… leaving early adopters in the cold. Hey Manoli, just wanted to get your opinion on the seats in the GS. 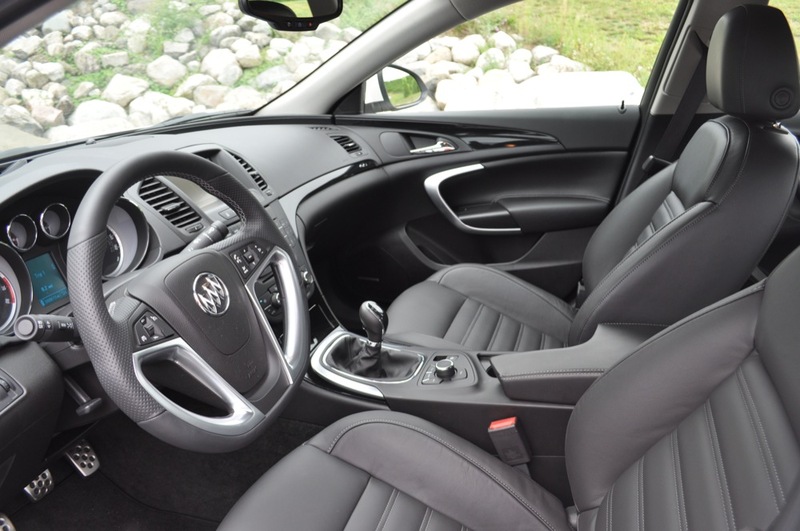 Are you at all familiar with the G8’s leather seats? 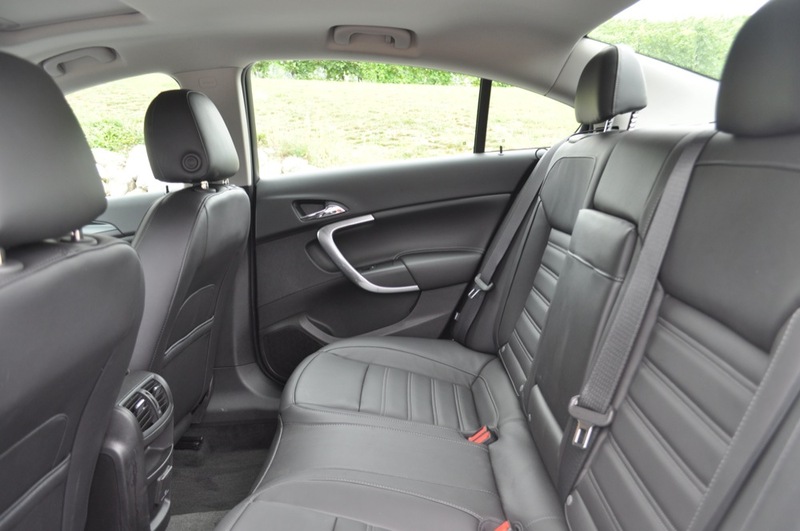 I know the quality of the leather will be night-and-day between the two, but the bolstering on the G8’s seats is VERY wide to accommodate the 200+ set. I’m curious to know if the GS’s seats are any narrower, as it’s a prime complaint of my current car. Any info you can provide would be greatly appreciated. I hate to say it but the only seats I’ve experienced in the G8 are cloth ones. I weigh in at just under 200 pounds, and the seats bolstered me fairly well. They weren’t Recaros though. I don’t think they’re much different – just a different seat cover, really. I really like my 2013 GS. it handles well, and looks great doing it.